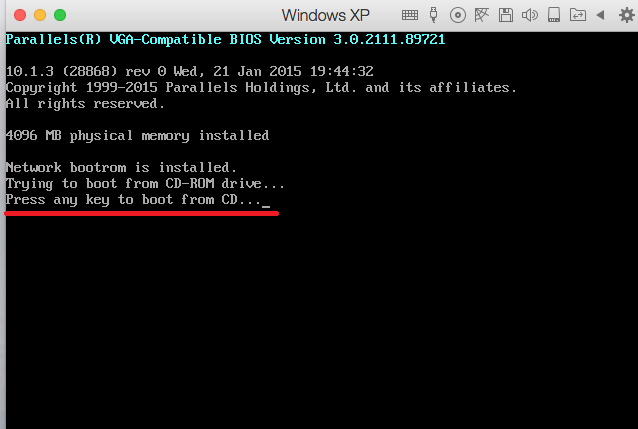 How to boot virtual machine from the installation media? 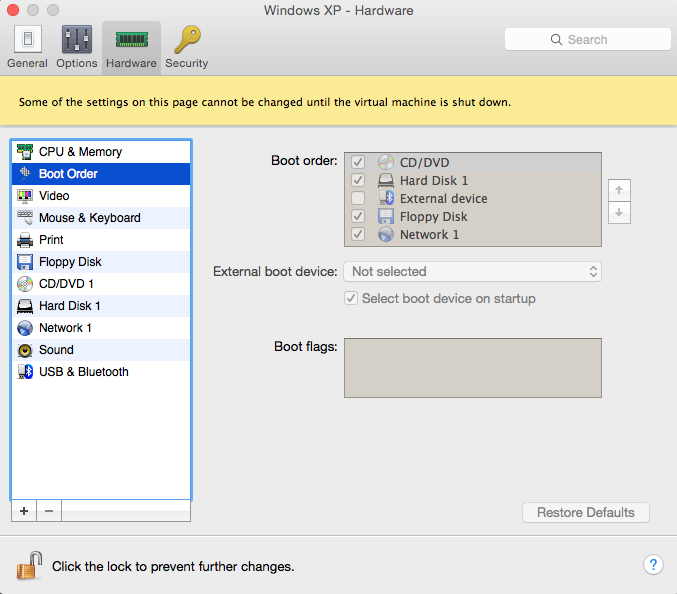 Usually, booting from the installation media is necessary when troubleshooting non-bootable virtual machines. Insert Windows installation disk into your Mac DVD drive. If you use .iso image, copy it on the Mac side. 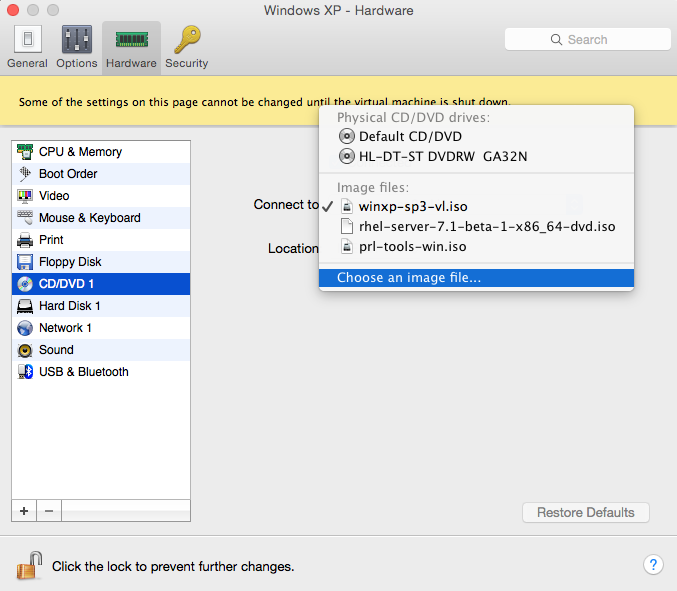 Open virtual machine configuration > switch to Hardware tab > CD/DVD. In the right pane click on Connect to: field and choose your Physical CD/DVD drive or navigate to the image clicking on Choose an image file. In the left pane choose Boot order and move CD/DVD to the first place in the Boot order list. Close configuration and run virtual machine. Once you see the black shell, click on the virtual machine window to make virtual machine grab the mouse. When virtual machine asks to Press any key to boot from CD..., press any keyboard button to confirm.